Meet Zap. A spunky blue alien from the planet Vox Nova. When a stowaway from Earth sneaks into his spaceship, he makes lots of mistakes. Is the furry creature friendly? Or dangerous? Quick, grab a pencil to teach Zap about our world. Share memories, too, and ​make up adventures of your own. Kid-tested and teacher-reviewed, Adventures with Zap introduces the magic of storytelling through playful writing practice. Earth kids ages 4-8 become authors and illustrators, while creating a precious keepsake along the way. Adopt an alien pet, send a message to a monster, pretend to grow a tail, and discover a new planet as you rocket through space. Zap gives oodles of ideas of what to draw and write. Or use ideas of you own. Zip-zapper-zot! Find a helper who can be your reading, writing robot! Be a 4-year-old author. Ka-zooks! No need to worry about spelling to be an author for this book! Great for kinders. You're on top of your game. Play with fun ways to revise and shoot for the stars! This first-of-its-kind, character-driven design, offers a powerful incentive to play with words. Flexible format easily adapts to the needs of preschoolers, kindergarteners, first graders, second graders, and third graders, too! Simple, bite-size instructions for every age. "Writing should be fun for (emergent) children, and not a chore. But there should be a purpose behind it as well." The library featured in Zap's book is a real place. Garfield Park Library was designed by William H. Weeks over 100 years ago. The mission-style building with large fireplace opened in July, 1915 thanks to a $3000 Carnegie grant that paid for its construction. 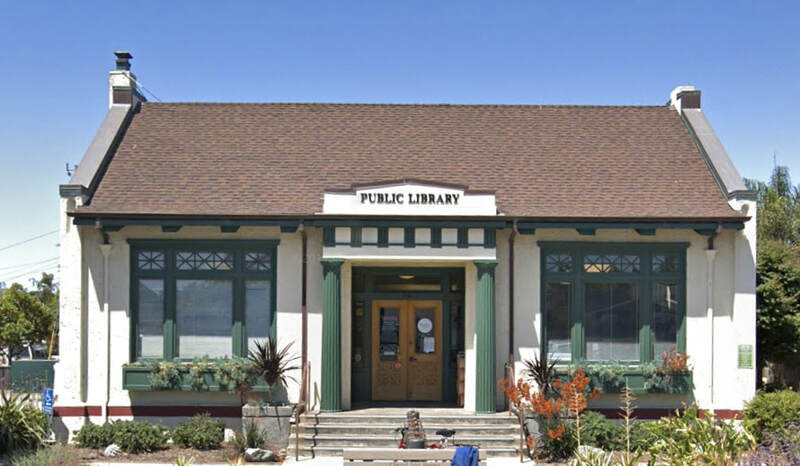 This library is now on the National Register of Historic Places and an official Landmark in the city of Santa Cruz. "Stories are the heart of writing. Mechanics are the brain. Writers need both. I believe young children should start with the heart. In time this will fuel the brain." Diane Landy is a writer of children's fiction and a longtime writing coach in elementary and preschool classrooms. While helping little people put their big ideas on paper, she noticed a troubling pattern. As students progressed through Pre-K to Grade-5, interest in writing waned, and more and more kids wrestled with their words. By 4th grade, "I don't like to write" was a common refrain, reflecting their struggle. What Diane heard was, "I'm not good at it. Don't expect much from me." She made it her mission change their minds. The elephant-size question she needed to answer was this: "How can I inspire an early love of writing?" Diane experimented and developed a hypothesis that led her to create an innovative approach to writing practice. Using prompts tied to a fun, comic story, children learn as they play. Testing revealed that kids love to teach Zap what they know, and a friendship develops as they share life's meaningful moments. Diane was delighted to discover that many English language learners were also inspired by Zap, who comes from a far away place, cannot write yet, and makes lots of mistakes. Unlike school--where students write for an adult audience and the emphasis is on both mechanics and assessments--Diane's book focuses, instead, on playing with story elements, writing personal narratives with and for a friend, and getting creative ideas onto paper in a variety of ways. In the end, the collection of a child's thinking becomes a precious, family keepsake. When Diane is not playing with words, she may be found hiking in the woods with family or friends, traveling to new settings, or making mosaic masterpieces in her funky garage studio made of recycled cabinets, tile abandoned in "bone yards", and a 100-year-old wooden door. Click on the icon to FOLLOW ME! Diane created PENCIL POWER--a mosaic muse--while imagining her book as seen in this 2014 photo. Notice both Zap and Gooey were originally green! Check Zap's STORE for PENCIL POWER notecards and writing folders coming soon. Allison Hershey's years of experience working in science fiction and comic illustration made Zap's book a natural fit. Being a writer as well, she was also drawn to the concept of playful writing practice. ​The job came with an extra challenge: Zap's and Gooey's bodies must never be shown. But Allison loves a challenge. With great care and cleverness she crafted scenes to keep them hidden. And her robot drawing was so endearing, Diane wrote it in as a recurring character instead of a guest in a handful of scenes. Allison's art has appeared in science fiction magazines, anthologies, computer software packaging, and adventure games. As art director and game strategist at the Dreamers Guild she was responsible for visual design and story content. She supervised over twenty artists creating backgrounds and animation for several computer games. For five years she created the art and dialog for Inherit the Earth, a long-running online comic strip based on the original computer game of the same name. She continues to do freelance illustrations for fantasy, science fiction, and children's books from her cozy redwood forest home. As she gazes down the mountainside by day and looks up at the stars at night, she dreams up new pictures and stories.